In an earnings period where Zynga’s much larger competitors have seen billions of dollars wiped off their market caps, CEO Frank Gibeau offers a nuanced description. “It’s carnage. It’s like Mario Kart when everyone else hits banana skins,” he comments of the 10 per cent drops experienced by Activision Blizzard, EA and Take-Two this week. Coming on top of their 40 per cent stock price declines during late 2018 and it appears that after five years of good times, games company investors are now worried about macro-economic factors, the end of this console cycle, and taking their profits. “There’s uncertainty about what comes next for consoles,” Gibeau agrees, before positively positioning Zynga. And maybe that’s why Zynga stock is higher than it’s been since early 2014. Market sentiment isn’t always aligned with company fundamentals, but it is clear that since Gibeau took the CEO role in March 2016, Zynga has finally got its act together. Initially it focused on reigniting interest in its core games such as Zynga Poker, Words With Friends and CSR Racing 2 - the “turnaround phase” - before aggressively moving onto acquiring companies with strong growth potential, particularly on Android and outside of North America. Yes mobile games is a competitive market. You just have to be good at it. To-date Zynga has spent around $1 billion, with its $560 million deal to buy 80 per cent of Finnish developer Small Giant Games in December 2018 unlikely to be its last. With $580 million of cash available, plus a $200 million credit facility and a potential sale-and-leaseback on its $600 million downtown San Francisco office on the cards, Zynga retains the firepower to spend hundreds of millions of dollars more. The early success from 2018’s deals are one reason Gibeau is bullish about 2019. Small Giant’s RPG Empires & Puzzles is currently a top 10 grossing Android game and Gram Games’ Merge Dragons! 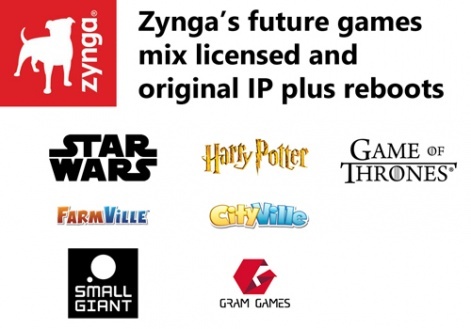 is already starting to repay the $250 million Zynga spent acquiring the developer in May 2018. Under Zynga’s tutelage, what was a fairly lightweight experience is now what Gibeau calls one of the company’s five “forever franchises”; that is games it expects to generate over $100 million of annual sales for more than five years. For the record, the others are Zynga Poker, Words With Friends, CSR Racing and Empires & Puzzles. If nothing else, these deals mean Zynga’s revenue, which was $907 million in 2018, will be well over $1.1 billion in 2019. We think with 2.5 billion mobile gamers globally there’s plenty of opportunity. The switch from millions to billion may be symbolic but it’s the sort of signalling investors like to see. In a similar vein, Zynga’s ability to grow profitability is something else that plays well to the gallery. Net income for 2018 was only $15 million, actually down from 2017, but at $168 million, cashflow from operations is the highest it’s been since 2011. This isn’t to say 2019 will be an easy year for Zynga to hit its goals. While it has a solid foundation in place, acquisitions mean more staff and growing new games globally means higher advertising spending. The result will certainly be a rise in operational costs, which will hit profitability in the short-term. 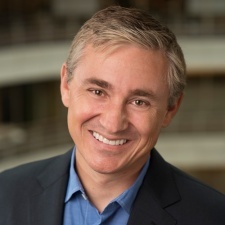 In the medium-term, however, Zynga’s focus sees it switching from finding stability to driving growth. As well as more acquisitions, this means releasing more games. Indeed, the company has nine titles in different stages of development. These include reboots of old favourites such as FarmVille and CityVille, a Game of Thrones slots game, a Harry Potter match-three mashup, and in 2020 at least one Star Wars game. Small Giant and Gram each have a new game in the works too. For a company that’s canned as many games as it’s released in recent years, this is a big switch. Of course, not all these games will be successful, let alone new 'forever franchises'. Yet in terms of minimising risk through the use of existing IP while making the most of the opportunities available in a $50 billion-plus market, Zynga’s strategy looks solid. And Gibeau is certainly for the challenge. Full disclosure: The author holds a small amount of Zynga stock.